Brave, gifted, talented and responsible for making Oslo somewhat what it is today. Meet three people that made Oslo and Norway famous. With painting ‘Skriet’ (The Scream), Munch would create a painting that would keep him famous more than 60 years after his passing. Edvard Munch was a painter and one of Modernism’s most important artist. Over sixty years he was active – all the way from when ha made his debut in the 1880s up until his death in 1944. His experimentation skills as an artist gave him a unique position in both international as well as Norwegian art history. 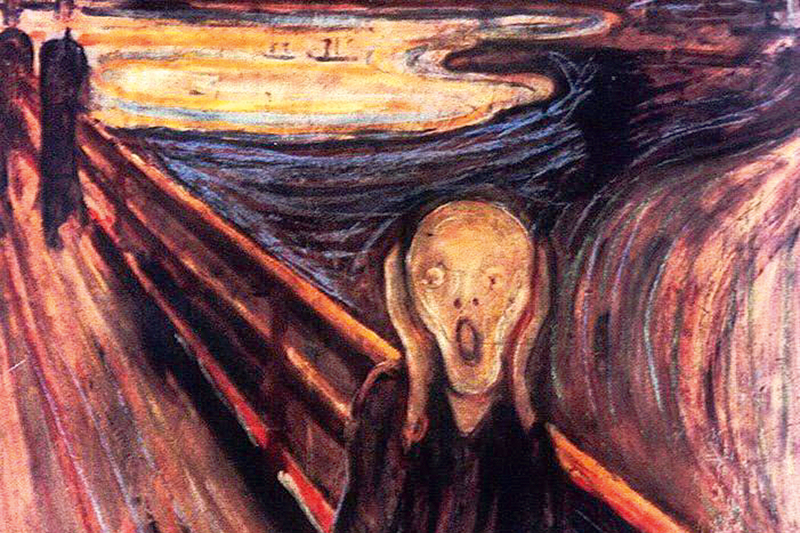 The Scream has been described as “an icon of modern art, a Mona Lisa for our time”. It has been portrayed in the game the Sims, in the tv-show the Simpsons and in countless of other culture. With Skriet always being relevant, so is Norway and Munch. He has been described as “the father of realism”, and is one of the founders of Modernism in theatre. Henrik Ibsen (1828 – 1906) was a Norwegian playwright, theatre director and poet. He is considered to be one of the most important playwrights since Shakespeare, in particular for his later dramas who at the time were considered scandalous. Ibsen has influenced novelists and playwrights such as Oscar Wilde, James Joyce and George Bernard Shaw. Three times he was nominated for the Nobel Prize in Literature – 1902, 1903, and 1904. As his work lives on, he stays famous. Every year the International Ibsen Festival is held in Oslo, drawing locals as well as tourists to discover the works of Ibsen. Wergeland is one of the “birth fathers” to the celebration of 17th of May (syttende mai), but he’s mostly famous for being a Norwegian writer, playwright, historian and poet. He is often considered to be a leading pioneer in the development of Norwegian literary heritage and modern Norwegian culture. He became a famous hero when he, together with the locals, fought at the battle of the Square in Christiania on 17th of May, 1829. Even though Henrik Wergeland died at the young age of 37, he has had a huge effect on literature, history, contemporary politics, social issues and much more. The celebrations at 17th of May are the biggest one in Oslo for the whole year and means the world (ish) to Norwegians, they have Wergeland to thank for that.